As all knows, hystou latest mini computer core i5, i7 and palm-sized celeron quad core mini pc cpu all with Turbo Boost technology, some buyer ask how to set up and use this Turbo Boost function. Here we make explaination about Turbo Boost Technology. What is Intel® Turbo Boost Technology? 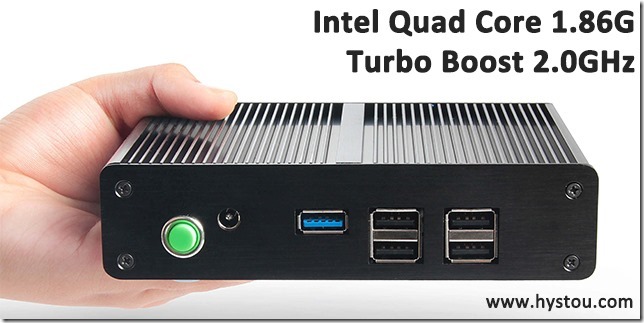 Intel® Turbo Boost Technology is a way to automatically run the processor core faster than the noted frequency. The processor must be working in the power, temperature, and specification limits of the thermal design power (TDP). This results in increased performance of both single and multi-threaded applications. 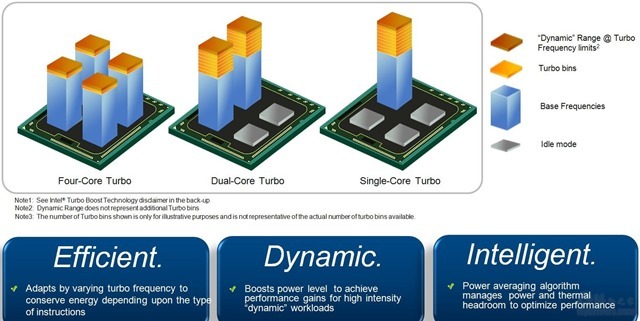 How Intel Turbo Boost Works? Turbo Boost gets rid of this compromise. If you use the Core i5 750 in a 3D rendering application it will probably only operate at its base clock speed because all four cores will be used. However, if you use the Core i5 750 with a game which only needs two cores “ presto!” – the third and fourth cores go into a low power state and the two cores you’re actually using are running at a clock speed as fast as what you’d expect from a standard dual core processor.